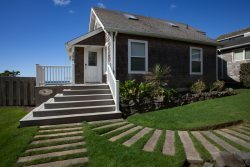 Enjoying the beauty of the coast and the charms of Cannon Beach fills your time here easily and soothes the soul, but if youd like to experience even more relaxation, consider a professional massage in the privacy and comfort of your own beach home-away-from-home. 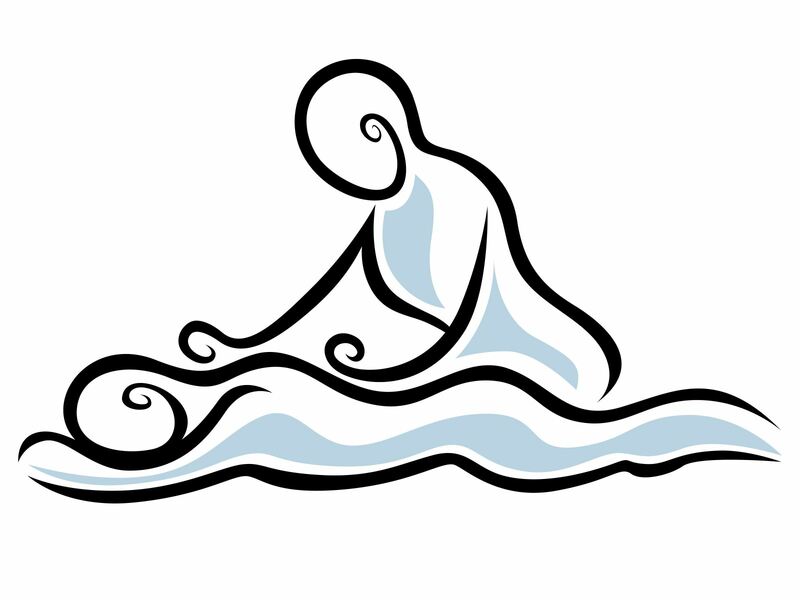 Licensed Massage Therapists Valoree Gift and Deborah Albrecht bring the massage to you with a customized treatment for relaxation or healing. With mobile tables, oils and scents, theyll transform your vacation home into your own personal spa, and no need to rouse yourself at the end... slip back into your robe and curl up by the fire to maximize the effects rather than going back out into the world in your relaxed and blissful state. Pamper yourself with skilled, experienced, healing hands and make this your best beach vacation yet! 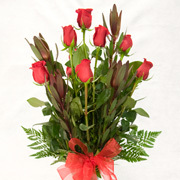 For an extra special indulgence, couples massage appointments are also available. We recommend booking your massage when making your vacation home reservations, but please call if the mood moves you at the last minute! Have you always wanted to Surf? 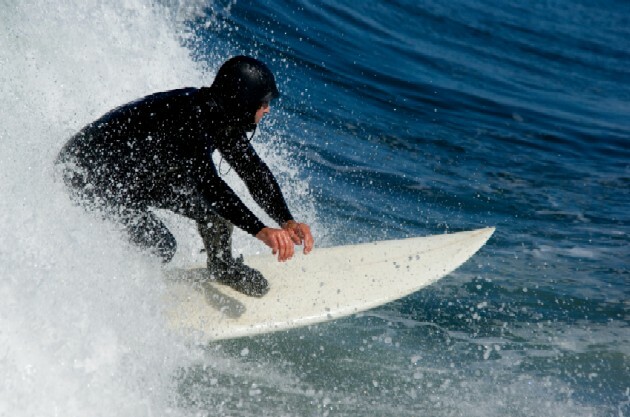 Have you always wanted to learn how to surf? Well here is your chance, Cannon Beach Surf Shop will provide you with all your equipment for the day and 2 to 2.5 hours of instruction to help you learn how to catch a wave. So set some time aside and book your lessons when you book your vacation home. It's Yoga & Pilates for Everyone! And now for guests of Cannon Beach Vacation Rentals, 50% off at all of your Group Classes! Thanks to our flexible friends at Cannon Beach Yoga Arts, CBVR is pleased to offer this discount to enhance your next Cannon Beach vacation stay, giving you the freedom to keep up with your workouts or a safe place to try something new. Forgot your gear? No worries, Cannon Beach Yoga Arts has got you covered. 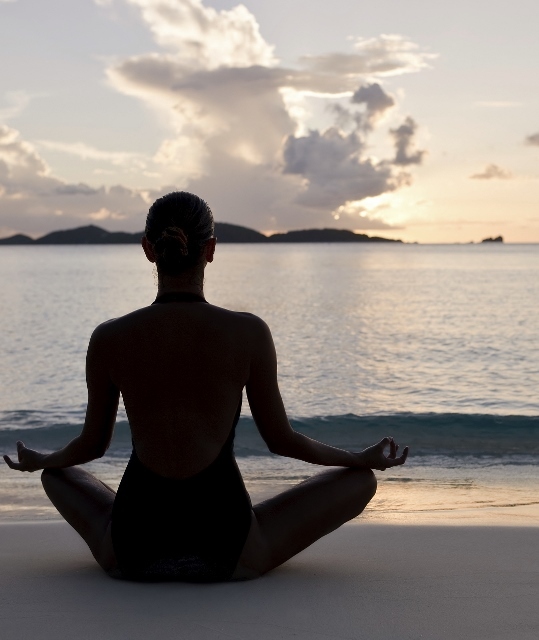 The Yoga Boutique has a selection of yoga clothes, mats, props, Vapour Organic Makeup, candles and bath products. Check out the schedule of offerings and make your reservations through our office to receive your discount. 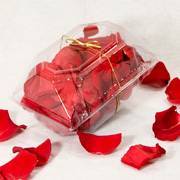 Have a dinner catered by your own personal chef! Feel like taking a night off from cooking? Have a gourmet meal cooked in your kitchen instead of slaving away over the hot stove yourself! Chef Jonathan Hoffman can prepare a variety of culinary delights for breakfast, lunch or dinner-or even some simple appetizers! 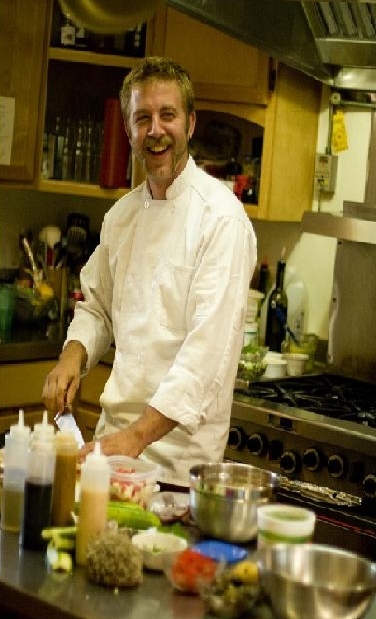 He graduated from Scottsdale Culinary Institute in Arizona then moved back to his home state of Oregon and has been living on the beautiful north coast. Chef Jonathan’s favorite style of cooking is one that utilizes the local farms, fisherman, and foragers to the best of their ability to provide. All meals are available in the comfort of your vacation rental including personal cooking classes, beach fire BBQs, and multi course plated meals. For reservations, please call 480-330-3169 In his free time, Jonathan enjoys carving ice and wood, being outdoors, and spending time with friends and family. Wine and the seashore go hand-in-hand. The Wine Shack has the largest and finest selection of wine in Cannon Beach and surely has a bottle or two for you! We specialize in wine from Oregon and Washington – including 50 Pinot Noirs from Oregon – and have wine from around the world. And, we have great wine-related gifts and food items. When you are out and about in Cannon Beach, you will want to visit our cozy and welcoming Tasting Room where we have regular wine tastings, wine by the glass and live music. The Wine Shack’s Tasting Room is also available for private events and is perfect for family reunions, wedding or birthday parties, or a corporate meeting. Guests of Cannon Beach Vacation Rentals who show us their rental home door key will enjoy a 10% discount on all wine purchases during their stay. Blankets, Bags and Mugs ... Oh my! Wrap yourself up in Cannon Beach memories; our unique Cannon Beach blanket will remind you of the good times every time you see its iconic images. Queen-sized 62" x 80" and made of 100% soft cotton sweatshirt knit with polyester fill, this is a 12 panel stitched blanket with border. 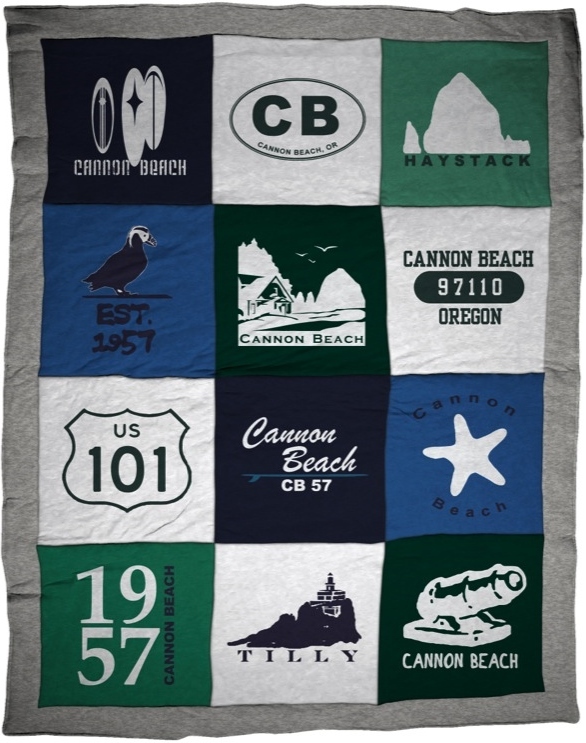 The Cannon Beach Blanket is a present the entire family will cherish, at $170 each. 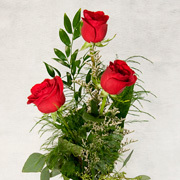 Call 866-436-0940 or email [email protected] to order. Keep those provisions fresh for your next weekend away at the coast, or pack your picnic down to the beach in our snappy (new) insulated cooler tote! 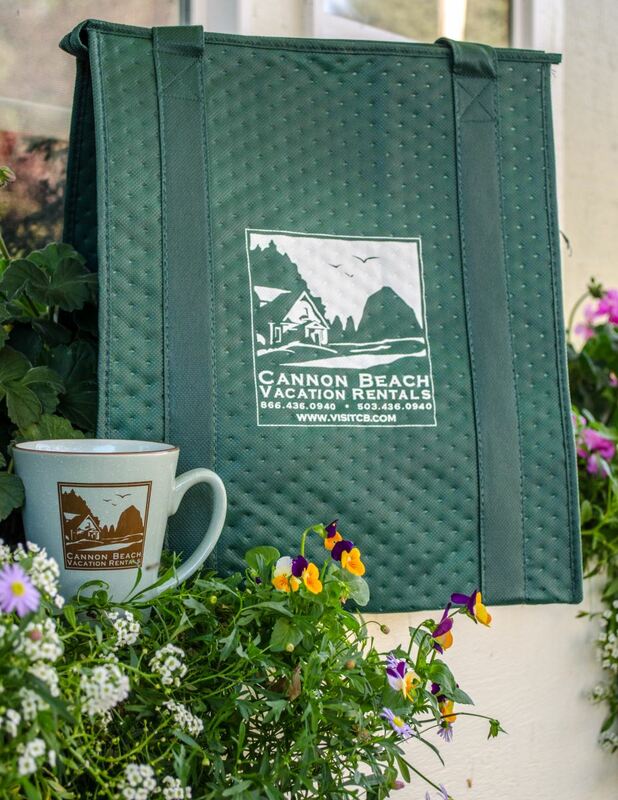 At home, keep it stashed in your trunk for your regular grocery run and show your Cannon Beach pride. And, demonstrate your coffee and tea-loving chops with a new mug for the season, to remind you of your latest coastal visit and leave you pining for the next one.